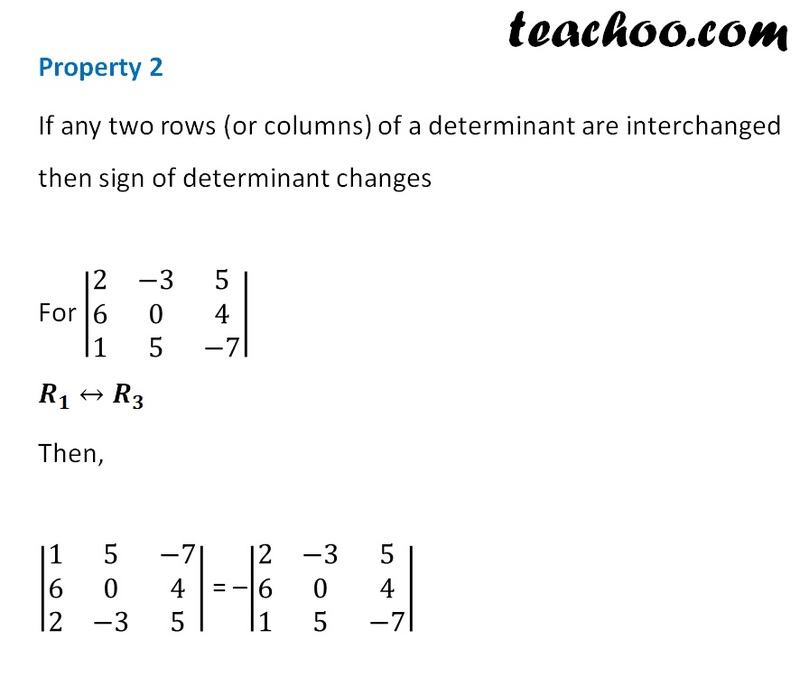 If are elements of a row (column) are zero, determinant is 0. 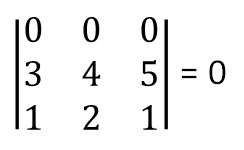 If any two rows (or columns) of a determinant are identical, the value of determinant is zero. 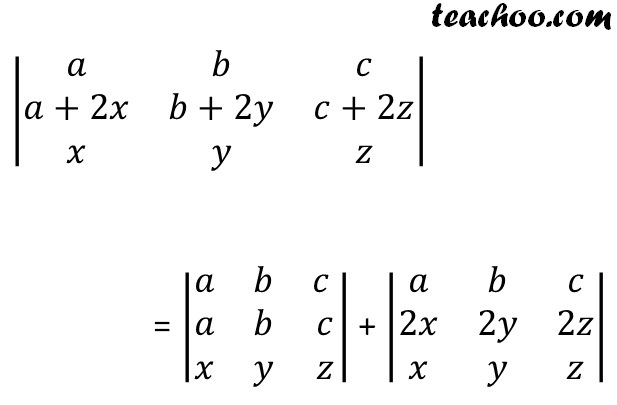 then the determinant can be expressed as sum of two (or more) determinants. then value of the determinant is equal to product of the diagonal elements.